The "Great White" Heron as know as a white morph Great Blue Heron is subspecies of the Great Blue Heron. These large white herons are found commonly in the Florida Keys and uncommonly in other parts of the southern peninsula of Florida. The white morph Great Blue Heron closely resembles a Great Egret, but can be distinguished by its pale legs and heavier bill. I saw this white morph in the "Tea Table Relief" area. It was hanging out there both times I visited the area. 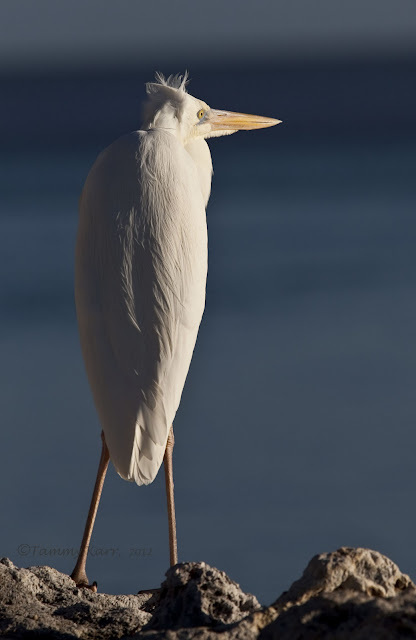 Also in the Keys, and other parts of southern Florida, where white and blue forms of Great Blue Heron overlap, there is an intermediate morph bird known as the "Wurdemann's Heron". I saw one interesting looking Great Blue Heron hunkered down in the mangroves. At first I thought maybe it was a juvenile GBH, then I thought it could be one of these mixes, but I'm really not sure. It had quite a bit of white on its head and neck. I wish I had taken more photos of it. Very nice shots! I saw a white morph once up here at Merritt Island last year. A very cool bird to see! Thanks! Amazing pictures of the heron. Interesting Heron that last one. Great light on the first two pics, superb. Thanks! I took them at sunset. 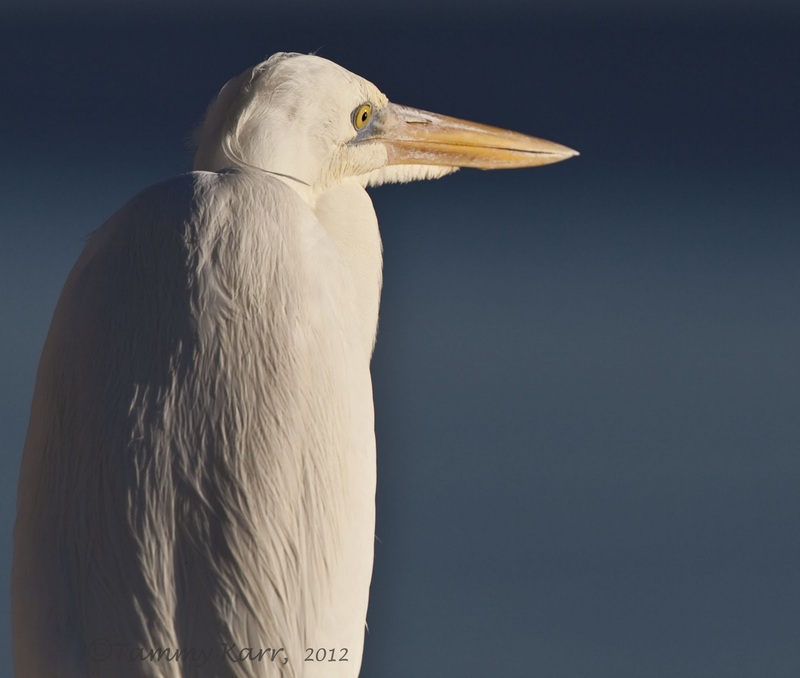 Wonderful images of the herons Tammy! Love the light, settings and wonderful details. Stunning pictures of a beautiful bird. Que maravilla de fotografías Tammy, cada día me gustan mas. Muy bella , buenas tomas de cerca. I would love to see both the Great white heron and the Wuderman's! Nice shots. If you visit the Keys, chances are good you will see them! They are fun to see! ¡Una belleza de imágenes! Saludos desde Granada. Gorgeous shots, Tammy! I photograph a lot of GBH's here in Kentucky, but obviously we don't have the white subspecies. It's a big change to see the all white plumage. It's very striking. Thank you! I love photographing the GBH too! They usually don't seem to mind!